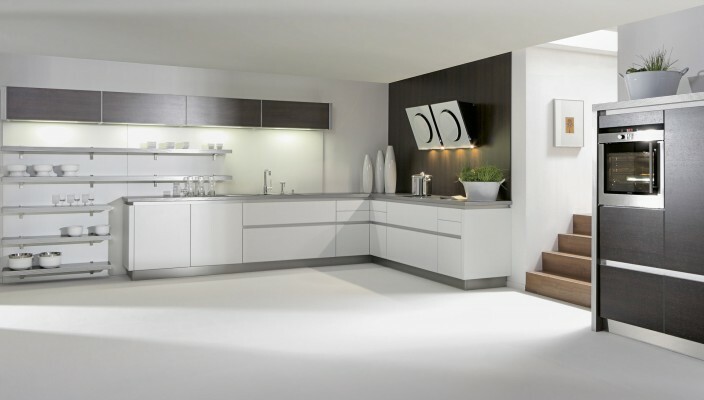 This stunning kitchen concept works for its sheer calmness and peaceful environment that comes from using white shade for the cabinets, floor and the walls. This kitchen concept uses white in a unique way for the entire design. From the cabinet frontal areas to the walls, everything is in a white finish. Adding contrast to the design is a portion of the wall that has a black finish and has been bejeweled with stunning lights. With space for all the modern appliances and storage, this is what one can think of as the ideal place to try some culinary skills.